Offering a wealth of support for its thriving tech cluster – could this East Midlands city, ranked seventh in our index, be the home for your start-up? Why start a business in Leicester? One of the UK’s oldest cities and the de facto capital of the East Midlands, Leicester has an established reputation in the automotive, transport and defence industries, with a small but growing standing in the tech industry. If you plan to start a high-tech industry business, the amount and range of support on offer should put Leicester high on your list of potential destinations – in particular, the MIRA technology park in Hinckley is home to many world-leading transport businesses and offers unparalleled depth of support in this field. Situated along the M1 and M69 motorways, it takes just under two hours to drive to London from Leicester, with the busy East Midlands Airport just 25 minutes’ drive away and offering access to a number of international destinations. However, getting around the city can be a crawl – road speeds average out at just 16mph, considerably slower than the 32mph average for the East Midlands overall. Trains from London Kings Cross run frequently, and take around an hour and a half. Leicester is home to three universities – Loughborough, University of Leicester and De Montfort University. Loughborough is known for its heavy emphasis on sports-related courses, but also has a decent pedigree in engineering and technology, making it a good source of potential recruits. The University of Leicester is one of the top 20 universities in the UK, and offers a range of support to business, including research, collaborations, technology transfer and recruitment services. Despite the presence of three universities, only 28.8% (65,500) of the working age population hold NVQ Level 4 qualifications and above, meaning qualified graduates may be more difficult to come by than elsewhere. However, this is offset by the cheaper cost of recruitment – average salaries are £436.10 per week, making it one of the least expensive cities to hire staff across the Midlands compared to Birmingham (£497.40) and Coventry (£539). Where Leicester really excels is in the range and extent of support available to businesses in the science and engineering sectors. The MIRA Enterprise Zone in Hinckley offers businesses a range of benefits, including business rates relief (up to a maximum of £275,000 over five years), simplified planning, and superfast broadband. In particular, as mentioned above, the existing MIRA advanced engineering, research and testing facility at MIRA Technology Park is set to undergo a major redevelopment and aims to generate more than 2,000 jobs over the next 10 years. It is set to focus on a range of sectors related to transport generally, including automotive, aerospace, rail and defence. As well as general office space and amenities, the redeveloped facility will offer R&D buildings built to bespoke requirements and include an engineering centre with laboratory facilities. Elsewhere, Loughborough University offers its own science park; with eight hectares available for development and existing space available up to 2,000 sq m, it is one of the UK’s largest science and enterprise parks. Again, it should provide a first-rate home for a new science or engineering business. A further science park, Abbey Meadows Science and Innovation Park, is currently under development – located near the National Space Centre, it will offer an ‘innovation centre’, grow-on units and larger business units. Outside the science and engineering sectors, Leicester has a small but growing tech community, centred around the Leicester Tech Startups initiative. The community aims to promote the emerging tech cluster through a series of events and networking opportunities. For businesses with a more general focus, Leicester has a good range of office space available. Developments include Colton Square Business Park, a set of high-end offices in what it calls “the heart of the Business Quarter renaissance”, with offices available from 3,500 sq ft. Other notable office premises include Bede Island Business Park, and Grove Park Commercial Centre – which will ultimately comprise 1.25 million sq ft of office, production and distribution space. There is one main accelerator programme in the city; DOCK Leicester which offers workshops, business coaching, grant schemes and more to successful applicants. Leicester benefits from an impressive array of grant schemes for business. The Leicester & Leicestershire Enterprise Partnership operates a £21m RGF-backed fund, which is offering grants of up to £1m to small and medium-sized businesses located in Leicester and the surrounding region. Elsewhere, the NBV Solutions ERDF Business Grant project aims to help start-ups and small firms which have had difficulty accessing traditional finance. The scheme offers grants of £500 to £5,000, or up to 40% of the total cost of a project. A full list of regional grant schemes can be found here. The Harry James Riddleston Charity offers interest-free loans of up to £10,000 for the same purpose. Leicester County Council have also been working with peer-to-peer loans site Funding Circle to offer finance to established businesses (more than two years old with turnover of more than £100,000) through its Enterprise Fund. In terms of angel networks, East Midlands Business Angels is the main investor network in the region, with a history stretching back to 1997. The consortium invests between £20,000 and £1m in businesses based in the region. Generally, however, start-up survival and growth rates have been somewhat middling (which might explain the large amount of support available). Between 2010-2015, 38% of start-ups survived, which is lower than the average on the index. Meanwhile, the number of business deaths has increased from 1,190 in 2014 to 1,275 in 2015, though the number of new businesses has increased from 1,745 to 1,915 over the same period. In terms of house prices, Leicester itself is a fairly inexpensive place to live. In September 2016, the average sale price stood at £151,223– similar to Manchester (£153,590) and Sheffield (£154,481). The crime rate has dropped below average in the last year at 82.93 crimes per 1,000 people and is much lower than Nottingham’s 101.02. 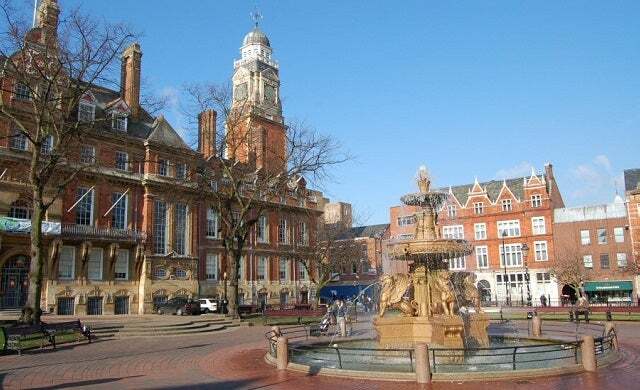 Leicester is one of the oldest cities in England and has become a modern, extremely diverse place, with one of the most multicultural demographics in the region. It is known for its sport – especially its rugby team, the Leicester Tigers – and its reputation as the “space capital of Europe”, with the UK’s only dedicated Space Centre of its kind. A first-hand account from an early-stage start-up on what it’s like to start a business in Leicester and what the city has to offer new entrepreneurs. You can also gauge insider opinion on what more Leicester needs to do to accommodate start-ups.